New research has uncovered a dangerous link between feeding babies solids too early and childhood obesity. A 10-year study by Western Sydney University (WSU) found babies who were introduced to formula and solid foods in the first four months of life could be twice as likely to develop childhood obesity, the Liverpool Leader reports. The study tracked 346 infants from Sydney’s southwest — an area with the highest rate of childhood obesity in Australia. 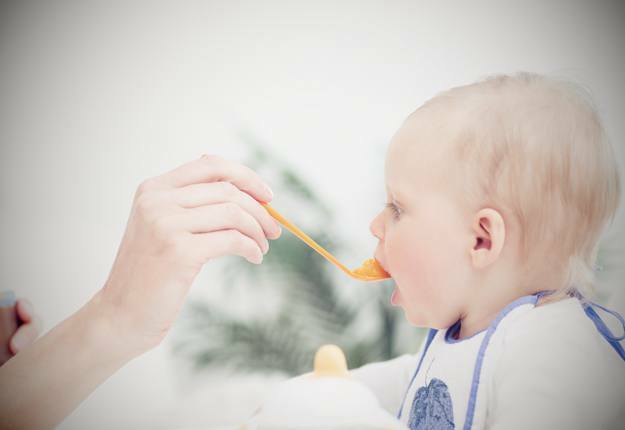 The study found 82 per cent of parents had fed their babies solids or formula in the first four months of life. WSU Translational Health Research Institute’s Haider Mannan — who led the study — said it was recommended mothers breastfeed exclusively, if possible, for at least four months. “What our study has shown is that, in terms of infant feeding patterns, the first four months of life poses the greatest risk for the development of obesity later in childhood,” Dr Mannan said. While recognising some mothers are unable to breastfeed in the first few months of a baby’s life, the study highlights the importance of educating parents on when to introduce solids and formula to their infants. Deakin University professor Karen Campbell has previously said parents should shop around for formula with a lower protein level and avoid giving a baby solids until the age of six months. The study has been published in the International Journal of Environmental Research and Public Health. Another ploy to scare parents. You know when your child is ready for solid feeding and providing that they are fed in moderation and healthy foods should it really matter? No it is not a ploy it is to try to help parents make the right choices for what is best, more studies the better, if people need proof that it is best to wait until 6 months, the 4 month thing came in because formula companies wanted to sell their products earlier. It also recommends low protein formula for those who cannot breast feed and yes choices of healthy food should be made when introducing foods, avocado is the closest to breast milk, then banana, then sweet potato, slow introductions and lots of tasting by baby. The advice around solids changes so often tat it’s very confusing. I tend to not pay too much attention to these studies. I know people who were fed formula from day one and are now healthy young adults without weight issues. They were recommending delaying solid food if you can and low protein formula if you cannot breastfeed. I don’t think it is conclusive either way. Unless millions of babies are studied then it is not a conclusive enough study. I breastfed exclusively for the first six months. It seems like I did well then. Yes you did well done. The recommendations were to delay solid food and provide breastmilk or low protein formula if you cannot breast feed. Yes it would have a lot do with it, babies guts have not had time to develop the right bacteria and enough digestive enzymes. Food is too rich and hard to digest. Avocado should be their first food because fat content is the same as breast milk.